German With Moritz is an interactive app for learning German vocabulary. 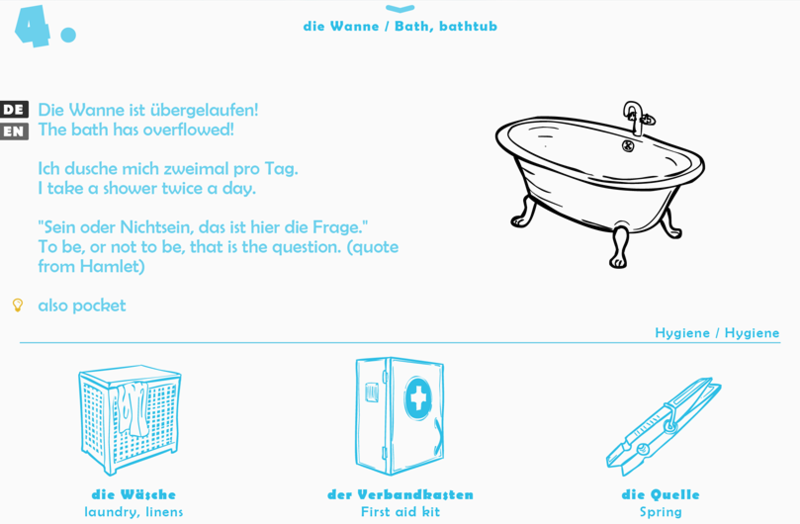 Tap on each object to read & listen to the German translation. Explore the world of Moritz. Great, now you can pronounce “Dunstabzugshaube” like a real German, but no stopping here! Take a look at the spelling and useful phrases. Up for a test? Cool, then Moritz has a memory games for you in every corner of his little world. Or actually, not so little!